When Kelly Barrales-Saylor was a new mom, she got a lot of children's books as gifts. Most were simple books about shapes, colors and letters. There were none about science — or math. "My editorial brain lit up and said there must be a need for this," says Barrales-Saylor, who works as an editor for a publishing company outside Chicago. When reading to his kids, Ferrie noticed that most books used animals to introduce new words. In today's world, that just didn't make sense to him. "We're not surrounded by animals anymore," says Ferrie, a physicist and mathematician at a university in Sydney, Australia. "We're surrounded by technology." So he created some math and science books for his own children and self-published them online. That's where Barrales-Saylor found them. 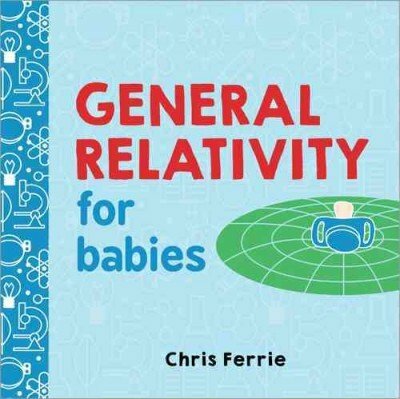 And together, they designed a series of books aimed at toddlers and babies. A firm grasp of rocket science isn't really the point, Barrales-Saylor says. "We know toddlers aren't going to pick up the exact high-level concepts we're explaining," she says. "We're trying to introduce the small seeds of information meant for them to remember years later." Physics never came easily to her — she got a "C" in her college class — but that hasn't stopped her from introducing the science to her kids. She reads Ferrie's Baby University series with sons Oliver, 2, and Milo, 1. Then, they "act it out." "We make funny noises and run through the house," Faust says. "The 2-year-old is a crazy active baby, so anything we read we have to act out." "It's important to give kids physical experiences and a chance to talk about them," says Winokur, who remembers learning to dislike science by reading about it. According to Winokur, what kids and parents need is to accompany their reading with an experiment. It could be as simple as asking the question: "What happens when I roll this ball down a hill?" he says. Children would do better to engage with physical objects rather than static pictures on a page — that way, they bring the subjects to life. 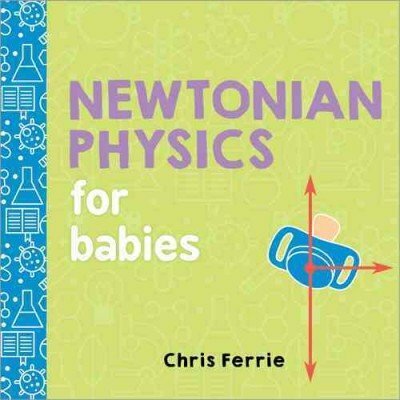 And the idea that physics is incomprehensible to small children? Let's just say, the babies may know more than we think. 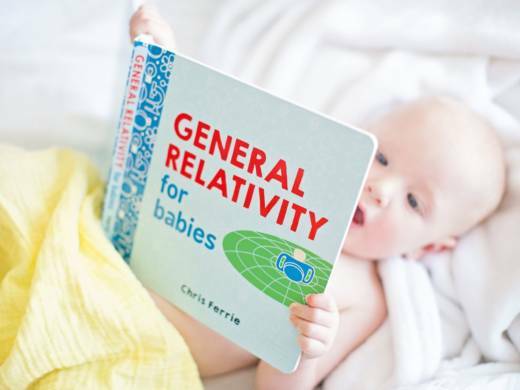 "Infants come into the world equipped with expectations that accord very closely to what we consider Newtonian physics," says Kristy vanMarle, who has been researching children's "intuitive physics" at the University of Missouri. Children as young as 2 months comprehend that objects unsupported will fall and objects hidden will not cease to be, according to vanMarle's study. "Of course, they can't talk about it, or explain it, but the knowledge — in the form of expectations — seems to be in place," vanMarle says. As the children grow, so does their understanding. They learn the language to describe the phenomena they have experienced all their life. In Washington, D.C., Rosie Nathanson is trying to make Ferrie's physics books work for her two younger children. "This is a ball. This ball is moving." Henry has been learning about this concept — flight — in school. Nathanson continues: "Air can't go through it." "Cause it's aerodynamic," Henry responds. He's excited to hear words he understands. But while Henry plunges through the books, his little sister grows restless. 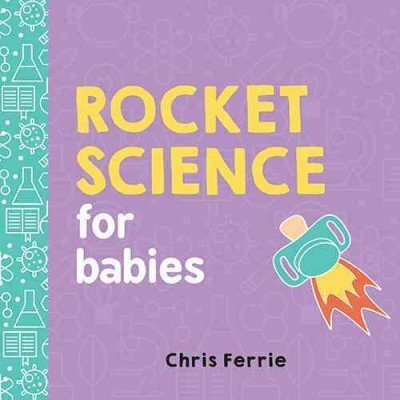 "I need water," says Sylvie, who's having a hard time grasping this intro to rocket science. "I like it half and I didn't like it half," says Henry. The half he didn't like? It's "for babies."